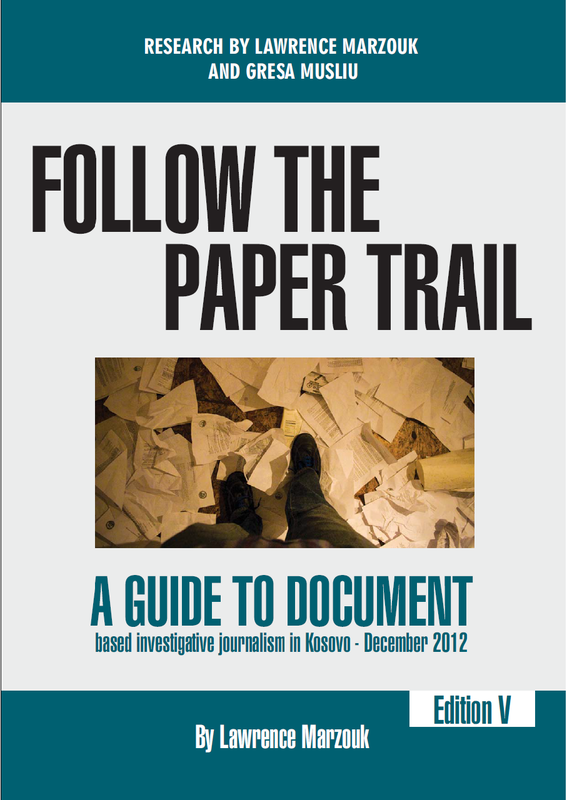 Follow the Paper Trail, a guide to document-based journalism in Kosovo, explains relevant laws, access to public documents, how to publish safely, where to find databases on investigative journalism, and how to locate documents online through various search engines. For those wanting to uncover wrongdoing, knowing how to follow the paper trail is crucial, and this means a strong grasp of relevant media laws, a host of web-based skills and the ability to manage large quantities of documents. Journalists must know how to prize documents from secretive institutions using ,Right to Know” laws but also find key reports which are already in the public do-main, many online. An in-depth knowledge of Google and other online search tools is also essential. Reporters who cannot follow the paper trail across borders will soon find they are hitting brick walls in their quest for truth.